Our first opportunity to gorge ourselves on Marvel’s most controversial hero, The Punisher, is finally here and the show is an excellent look at the real life aspect of the comic giant’s larger-than-life personas. Frank Castle, played by Jon Bernthal, isn’t cut from the same cloth as heroes like Daredevil or Luke Cage, inflicting maximum damage is sort of his thing. 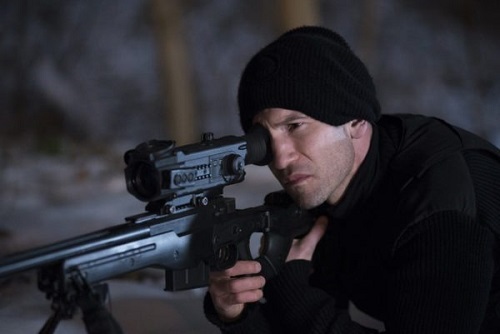 Before I jump into the review of this episode, it’s worth noting that several critics have taken aim with this episode and The Punisher as a series due to the rampant violence and the vigilante nature of a guy with heavy weaponry waging his own personal war on a major city. To criticize The Punisher for these things is a lot like coming down on Dr. Strange for being too weird or hating the absurd nature of Bill & Ted. While I realize that our nation has a problem with this type of violence, optioning this character really doesn’t leave much room for sentimentality and the warm fuzzies. This is who Frank Castle is and holding it against the show is fair, but odd. I address these issues not to alienate anyone, but it’s important to know what you’re reviewing before you agree to review this character. Garth Ennis, who, by and large, wrote the literal book on Frank Castle, agreed that there was no defense of Frank. Who Frank is and what Frank does are not meant to be appreciated and there may be something slightly off with you if he’s one of your favorite characters. Okay, I’m just talking about myself here, but the facts about Castle remain. Here are just a couple reasons the righteous indignation over The Punisher is a bit much. Ever since Marvel optioned shows to Netflix, they have had a much darker tone and featured a more gritty form of violence. Oh, and these were characters who believe in keeping their villains alive. Castle has no such compunction, he hits them and they stay down. The show is more about violence than holding it up as some ideal, and to say that it doesn’t focus that violence on worthy issues is just plain insulting. Wilson Fisk once slammed a man’s head into a car door so many times that it exploded. That was also after the first three episodes of Daredevil featured someone being stabbed in the eye with some gnarly stuff. The Punisher focuses on issues like Post Traumatic Stress Disorder following war, the feeling of having no home when returning from war, feeling betrayed by your country, and stolen valor. These are just a few items covered by the series. In my humble opinion, The Punisher is second only to Jessica Jones in serious adult content. Finally, there are the hundreds of comics featuring Frank Castle at his best. The ultimate end to the Gnucci family in the comics — also featured in episode 1.01 — is downright ludicrous, if not hilarious. Castle literally punches a polar bear in the stomach at one point so that the pissed off bear will maul everyone else. Not only is this scene gold, it was memorable, and it was genius. It’s in the pages of material available to folks prior to this show. But since there is something slightly off with me, I was all too happy to review the first couple of episodes of my favorite Marvel character, The Punisher. So, let’s get on with that. As I stated above, Frank isn’t much for sentimentality, but he has a soft spot for his dead wife. If you haven’t seen Season 2 of Daredevil, Frank opens the show killing off the remaining participants in the Central Park Massacre that lead to his family’s killing. We see Frank run over some Dogs of Hell, strangle one of the last Kitchen Irish in an airport bathroom, and then snipe a Cartel member all the way from the other side of the Mexican border. This is impressive work by Frank. Following his triumph over those involved in his family’s death, Castle burns his clothing, gear, and iconic chestpiece as a way to put the past behind him and move on. How does Frank move on? He takes up a job at a construction site knocking down walls with a sledgehammer. Unfortunately, Frank also works with some dudes that think they’re super tough. They push Castle around and call him “the Gimp,” thinking he has some mental disease. But more on this later. Our story moves forward to special agent Dinah Madani, played by the spectacular Amber Rose Revah. Madani is a young hotshot in Homeland, who was stationed in Afghanistan and wants to explore the untimely murder of her friend, Ahmad Zubair, but is immediately and predictably shot down by her boss, Carson Wolff (C. Thomas Howell). She is then assigned a lackie for a partner in Sam Stein (Michael Nathanson). Stein notes to her that he knows she’s in the doghouse because she was saddled with him as a partner. As Frank tries to fall asleep, we see that he still has flashbacks of his time in the Middle East and of his wife dying. In an attempt to center himself, we find out that Frank reads books. 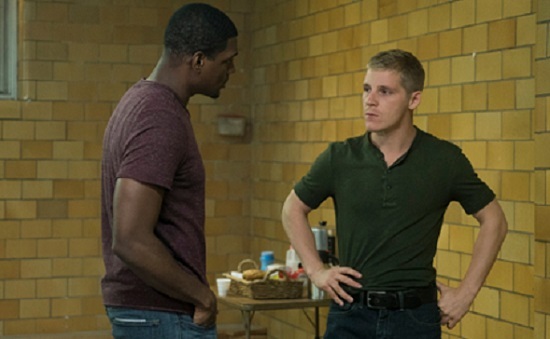 In addition to the books, we see Frank standing outside of a therapy group for ex-soldiers and it is run by Curtis Hoyle (Jason R. Moore) and we’re introduced to a troubled soldier by the name of Lewis Walcott (Daniel Webber). As I mentioned earlier, this group is fundamental to the overarching issues that we’ll see throughout The Punisher. Not only does the group play a major role in the story, but the themes presented in the group help to drive Frank Castle through his journey. As you sit and listen to the group members talk, you come to realize that each of these soldiers arrived here via a different path. Some soldiers have made peace with their actions, others are still haunted by them. This is the substance that breathes life into The Punisher. These issues are very real for the soldiers that come home from war. It’s a gritty look at how some of these men feel. There is no one way to feel following war and this group helps to present those issues in a powerful and compelling way. The group also serves as a sounding board for Frank. He doesn’t directly participate, but he stands outside as these soldiers say their peace. After the group is over, Frank helps Curtis pack things up as they have a conversation about some of these issues. Frank finds himself haunted by his actions in Afghanistan, telling Lewis that the lines got blurred without going too in-depth. Lewis responds by telling Frank his conscious is clear. He is okay with his actions. It’s a bit of reality packed into a story about a superhero. Back at the construction site, we learn exactly how much frustration Castle has inside of him as he takes down a wall at a construction site with a sledgehammer. Later on that day, Castle is hassled by his coworkers, who try to bait him into a fight and then destroy his lunch. Feeling sorry for him, new worker Donny Chavez (Lucca de Oliveira). joins him on the roof and shares his own lunch. Donny manages to get Frank to open up slightly to him as the two share backstories over lunch. Frank finds out that Donny works construction so that he can buy his grandmother meds and he hasn’t had a job in a while. The niceties last for about ten minutes and then Frank sends Donny away as rudely as possible to make sure he doesn’t keeping hanging around him. After work ends, Donny offers to buy a couple drinks for his new co-workers and they reluctantly take him along. While at the bar, we find out the crew also double as a small-time thieving racket and the next day they convince Donny to join them. The job is simple. They are going to rob a Gnucci family poker game so they can pay back the Gnucci’s the money they owe them from borrowing. All Donny must do is hold his crap together and help them clear out the game. Unfortunately for Donny, he drops his wallet on the floor and the Gnucci family head sees it and comments on it. 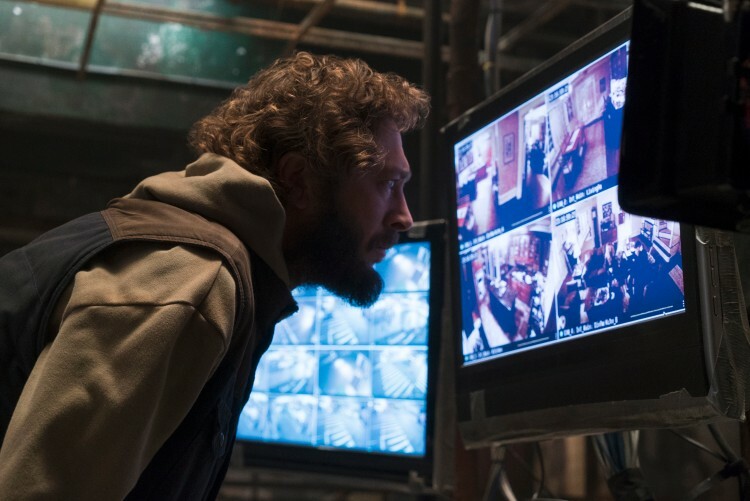 The crew are outgunned and know they must make their escape without violence, but they decide to kill Donny once they get back to the construction site. This is when things get awesome. Lance and Paulie decide they’re going to toss Donny into the cement mixer to kill him and that’s when they discover Frank Castle is still on the scene and he orders them to turn it off. Lance and his two friends think they have the upper hand on Frank and immediately have that notion dispelled as Frank takes them out and murders them within the span of five minutes using the sledgehammer. Donny pulls himself out of the mixer with the rope Frank tossed him and finds it attached to a bag of money with the words “Get Out of Town” written in blood on it. The implication is obvious for Donny and the money is clearly meant for his grandmother, but there is still one problem Frank has to solve. You see, the Gnucci family have now obtained the info of “Donald Chavez” and are going to kill their way back to the money. Frank knew the mob bosses wouldn’t take this lying down and also knew how it went down, so he beat the information of the heist out of Donny before killing him and sets out on his way toward stopping the Gnucci’s and saving Donny. This means Frank will have to take out the Gnucci’s before they can take out Donny or his family. Hoo, boy. How about that first episode? How cool was that sledgehammer scene? That had to put some air in your sails. This was an outstanding first offering to The Punisher. Marvel has hit all the right tones with this show and there are enough comic tidbits to keep fans glued for the second episode. Long time readers know who our mystery hacker is and were likely just as excited to see the Gnucci family make an appearance. I will admit to being a bit upset no polar bear featured in this episode, but the sledgehammer was a positive turn of events. If you thought The Punisher was going to be any kind of a dud, you were sorely mistaken. I sure hope we see more of the Gnucci family, but have a feeling they were just an appetizer to kick off the show. It feels like Donny may have learned his lesson, but Frank set him up with a pretty big windfall for a guy that shared one lunch with the man and could have been lying about his grandmother. What’s going to happen with our mysterious hacker? ; How we he and Frank come together and what will happen when they do? 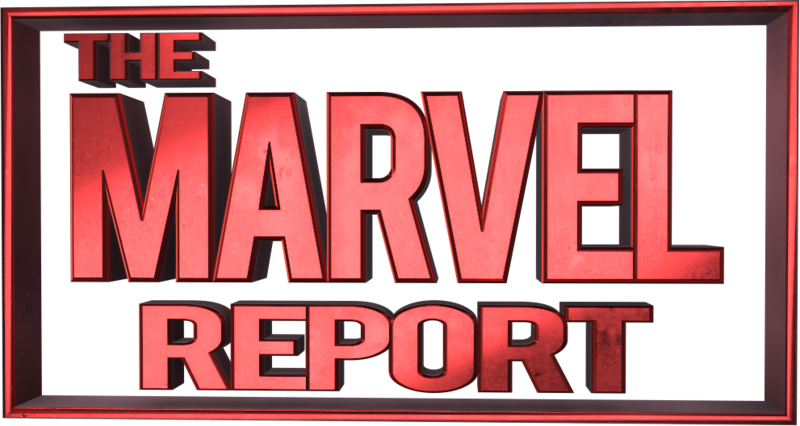 Stay tuned for The Marvel Report’s continuing episode reviews.